Looking to become a member of the Idaho Academy? If you are a member of the Academy of Nutrition and Dietetics you get the option to choose a state affiliate. You then automatically become a member of the chosen state's Academy. Not a member of the Academy of Nutrition and Dietetics? 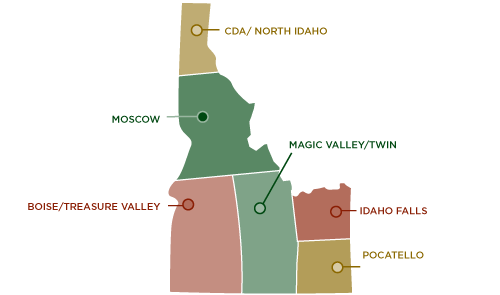 Click here to get started...and remember to choose Idaho as your state affiliate! Skim milk has the same nutritional value as whole milk, with less fat. Flaxseed is high in heart-healthy omega-3 fatty acid, as well as a source of fiber. Foods rich in calcium and vitamin D include low-fat milk, yogurt, cheese, salmon, kale, and broccoli. Tomatoes are one of the richest sources of lycopene, attributed to preventing cancer and other diseases. One medium orange meets the daily adult requirement for vitamin C.
Wild game contains the same heart healthy omega-3 fats as haddock, swordfish and flounder. April 2019 Affiliate Newsletter – check it out for news you can use!